The holidays have been busy this year so I haven't posted anything in the last two weeks, but our EMF research is slowly continuing. Over the last month and a half my ritual working group has done two more evocations in which we attempted to detect the presence of an evoked spirit with the EMF detector. Using the .4 threshold for detection the results have been one success and one failure, and in addition some patterns seem to be emerging from this work that provide insights into how EMF works in the context of an evocation. As I mentioned in the update to the previous EMF article, I am now using a unique sequential numbering system for these trials, so that I can refer back to them more efficiently when I finally compile the results into something resembling a scientific study. I also will be numbering these update articles going forward for easy reference to the specific postings. This trial was performed by five magicians, all experienced. Baseline EMF was .18 and peak EMF rose to .4, setting off the detector and making this trial a success. The EMF spiked to .4 twice during this trial, once as the operant field opened and again in the presence of the evoked spirit. This trial was performed by 6 magicians, the same five as Trial 4 plus a visitor who is experienced with magical practice but less familiar with the ceremonial style of ritual that our group performs. Baseline EMF was .08 and peak EMF rose to .25, making this trial a failure in reference to the .4 threshold. This was the first trial in which a tangible cold spot seemed to appear over the altar without the EMF rising above the .4 mark. One of the things that I have noticed with these trials is both times that the .4 threshold was not reached the baseline EMF for the temple was particularly low. Also, the EMF did increase during the conjuration for those trials as well, just not enough to reach the threshold. So at this point it seems to me that the most reasonable hypothesis is that the presence of the spirit adds a little more than .2 to the overall EMF present. With Trial 5, a tangible cold spot was felt over the altar even though the EMF only rose to the .25 level. This seems to contradict my earlier hypothesis that the cold spots correlate to EMF around or above the .4 threshold, and suggests that these phenomena may be more independent from each othat than I previously thought. This would be where using some sort of a thermometer would probably be appropriate to see if the degree shift is relatively predictable in its own right. One of the members of my magical working group is putting together a form for logging magical journal entries in a more standard form for easier comparison between operators. On the basis of these and the previous trials I will be suggesting that Baseline EMF and Peak EMF should be logged whenever possible, so that over time we can see physical measurements of what is going on. Once we've logged a large enough sample of EMF trials the next step will be to do probability testing on a series of practical rituals and see if the probability shift corresponds in any way to the EMF level. In response to a growing demand, over this last weekend the Roman Catholic Church held a special workshop in Baltimore - to train exorcists! The church has signed up 56 bishops and 66 priests for the two-day workshop that began on Friday, seeking to boost the small group of just five or six American exorcists that the church currently has on its books. "There's this small group of priests who say they get requests from all over the continental U.S.," Bishop Thomas Paprocki of Springfield, Illinois, was quoted as saying. "Actually, each diocese should have its own" exorcist, he added. Paprocki did not say why there was increased demand for exorcisms, which he noted were rarely performed. Let's hope that this increased demand is unrelated to the recent popularity of grimoire magick. After all, if more people are working with demons these days the odds are that more idiots are probably doing so as well. But exorcism has also become more common in popular culture over the last five years or so, inspiring movies such as The Exorcism of Emily Rose and television series such as Supernatural, so that might explain the increased interest in the practice as well. It might be worth examining if a similar increase occurred in the early 1970's following films such as Rosemary's Baby and The Exorcist, both extremely popular at the time. While solemnly regarded by the Catholic Church, exorcism is a staple of Hollywood fright films -- most notably the 1973 film "The Exorcist" -- and regarded by many as superstition that lends a chill frisson to festivals like Halloween. Catholic Church law stipulates that only properly trained priests can perform the rite -- and then only with the permission of their bishops. Possible signs of demonic possession include scratching, cutting, biting of the skin; profound displays of strength; and a strong or violent reaction to holy water. The trouble has always been that these can be signs of mental illness as well, and exorcists need to be extremely careful when examining cases, probably more careful than a weekend training session really allows for. While I'm not willing to completely discount the possibility of demonic possession, the fact is that it is extremely rare and mental illness is quite common - about one person in four according to some psychological studies. That being said, I would love to get the opportunity to scientifically investigate a case that the Church considers genuine and see how well the traditional exorcism ritual works compared with modern ceremonial methods. I would also like to observe the sorts of paranormal activity that are said to accompany real possession and see if there is any sort of objective method of measuring them. Enochian magick used to have a relatively small but devoted following. 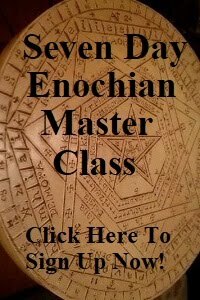 As a student of the system myself, I commonly joked back in the day that if I were to release a book on Enochian it would sell a thousand the first day as every Enochian magician in the world bought their copies the minute they were available and after that I would never sell another one. In the last few years this seems to have changed, as more people are becoming interested in the system. Enochian even makes an appearance on the popular television program Supernatural as the language spoken by angels to produce various magical effects. Sadly, the show's producers adopted the ridiculous pronunciation method proposed by Wynn Wescott during the Golden Dawn days - drawing out the words by pronouncing each letter as its own syllable. Even though I've worked with the system for years it took me a while to figure out whether the angels were speaking real Angelic or some nonsense language made up by the writers that they were just calling "Enochian." 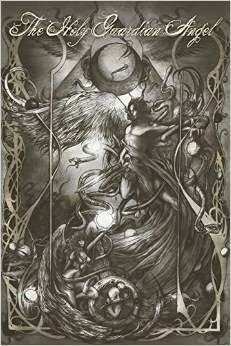 Of course, I also make use of the Angelic language in my novel Arcana as I discuss here. 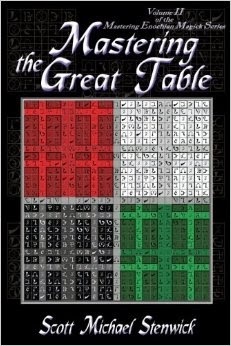 This last year has also seen a number of new non-fiction books released on Enochian magick. 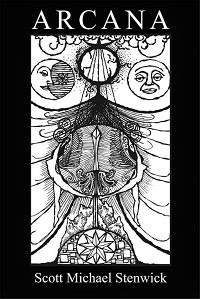 Aaron Leitch, author of Secrets of the Magickal Grimoires, has put out what seems to be the most ambitious of them, a two-volume hardcover set issued by (believe it or not) Llewellyn, which as a publisher seems to be drifting away from its previous stance of targeting every book released at 12-14 year old girls. 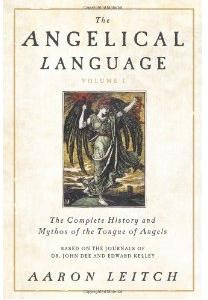 So far I have only read volume I of the set, titled The Angelical Language, Volume I: The Complete History and Mythos of the Tongue of Angels. 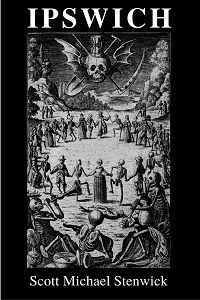 Generally speaking the book is quite good, especially as a complement to Geoffrey James' Enochian Evocation, which covers some of the same material. However, there are also a few caveats that I think anyone interested in practicing Enochian magick as Leitch proposes need to be made aware of. The best thing about the book is that Leitch makes a good case for using the Angelic Calls with the leaves of Liber Loagaeth and is the first author I've seen who outlines a workable system for doing so. I highly commend him for putting all this material together. I know how difficult a task it is firsthand, as I worked on something like it for myself years ago but found it too frustrating and difficult to assemble in a satisfactory manner. There are some quibbles that I have with his formulations, but the overall idea is great. Among those quibbles is his attributions for the Calls, in which he attempts to classify Calls 4-7 as a grouping when I think most reasonable readings of the first 18 Calls classify the first two as a group followed by 4 groups of 4, making the first grouping 3-6, the second 7-10, the third 11-14, and the fourth 15-18. This isn't necessarily that big a deal - as Leitch outlines the system the leaves and Calls correspond so that even if you decide to attribute the Calls differently you don't need to mess with the system itself. 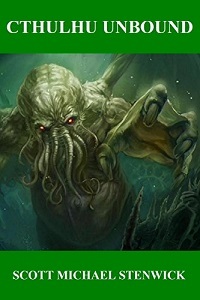 A much bigger problem is that Leitch assumes that since he believes the Calls to be related to Liber Loagaeth they must therefore NOT be related to the quadrants of the Great Table. In my opinion this constitutes sloppy, either/or thinking. Especially since Leitch includes decent textual support for the idea that the Loagaeth operation is essentially mystical and not practical in nature, it seems much more logical to me to suggest that Loagaeth would represent the mystical side of the system while the Great Table represents the practical magical side - and both use the Calls, which serve as a sort of "bridge" between the two aspects of the system. This is supported by Dee's explicit linkage of the last 30 Calls with the Parts of the Earth via the Aires, which Leitch acknowledges once but then essentially dismisses. The book also includes his pronunciation key for the Calls, which is the same as the one he published on his web site. I already critiqued that article here. Interestingly, in the introduction to The Angelical Language Leitch thanks a number of people who were working with Dee's pronunciation notes back in the late 1990's - you know, the ones who "passed over Dee's pronunciation notes in silence" according to his web article. So he must be familiar with their work, and I find it rather confusing that he would characterize it as he did. The statement in question is not repeated in the book, so perhaps Leitch has revised his stance since the publication of the web article. Beyond this the book gives a decent overview of Dee and Kelly's operations with more textual support than I've seen elsewhere, even in Lon DuQuette's Enochian Vision Magick which is probably the best book on Enochian magick that I have ever read. I would be glad to have it in my library for no other reason than its outline of the Loagaeth operation. 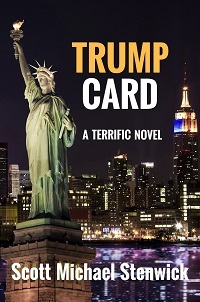 But you need to take its interpretations with a grain of salt - as with Donald Tyson, a lot of Leitch's conclusions from the material are much shakier than he makes them out to be. 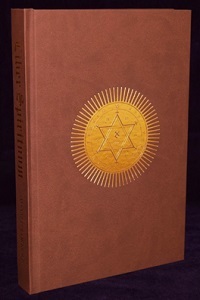 Want to buy your own copy of The Angelical Language, Volume I by Aaron Leitch? 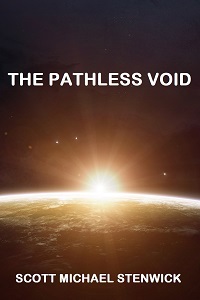 Order from my Books and Media page and you can help support Augoeides.